We’ve been interested in Kudu for a while. But it’s something that neither of your hosts have been exposed to very much. Apache Kudu went from incubation to top level project in record time and now seemed like the time was right to dig into this piece of antelope. 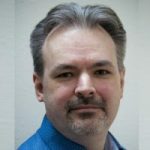 Mike Percy, PMC member and committer on the Apache Kudu project and software engineer at Cloudera was only too glad to come on the podcast and answer all our questions! Since both Dave and Jhon are currently on vacation, this episode was pre-recorded ahead of time. Because of this, we do not have any recent events to talk about. Special guest today is Mike Percy, PMC member and committer on the Apache Kudu project.